Today I’d like to talk about first steps when going vegan for those of us who are considering a switch to a vegan diet. While there are lots of benefits of being vegan, too often I see that people who decided to go vegan experience a number of difficulties, especially at first. That’s why today I’m going to share the exact steps that helped me on my vegan journey. Regardless what brought you on the vegan path – compassion for animals, environmental concerns, search for better health – you should know that you’ve made a noble choice, and sticking with being vegan will only get easier for you with time. It’s easy to get confused in your initial research about the vegan diet and lifestyle: internet is full of contradicting information; the reaction of friends and family might be less than approving; settling into a new shopping and cooking routine can challenge even the most determined types. However, your transition will go more smoothly if you keep your eyes on the big picture. 1. Going vegan? Might as well do it in a healthier way: a whole food, plant-based (WFPB) diet with little to no added oil is much better for your health than a more conventional vegan diet that uses fake store-bought meats, cheeses, vegan butter, etc. A number of remarkable scientists and doctors have done lots of studies to prove that WFPB diet can not only prevent, but also reverse a number of diseases that have been torturing our society ever since refined and animal-based foods have gotten widely available and cheap. Here’s my post about T. Colin Campbell, John McDougall, and Caldwell Esselstyn, Jr., all of whom have proved the benefits of WFPB diet through years and years of theoretic and practical research. 2.Vegan food goes beyond boring salads, fake meats, and veganized versions of animal-based foods from Standard American Diet. With so much whole foods available at any grocery store, you can go years without trying ‘vegan meat substitutes’ or tofu! New horizons will open to you as you discover delicious ethnic cuisines: I’ve never been to an Indian restaurant before I went vegan, and now I’m a huge fan of Indian food! And if you’re afraid that you might not be getting enough protein on a vegan diet, please read: where do vegans get their protein? 3. There will be challenges on your vegan journey, especially when going out to eat, traveling, visiting family, etc. The good thing to expect: it gets easier. The best thing to do: make a plan. Call the restaurant ahead of time (don’t just check their menu online) and ask them if they can accommodate you. Bring vegan snacks with you when traveling (fruit, nuts, vegan granola bars, or my chickpea salad sandwich recipe that’s become my husband’s favorite airplane food). Tell your family members that you’re ok with cooking something quick for yourself in their kitchen when visiting them – that will take some stress off of you and the host. 1. Go to Pinterest: this is the best place to find tons of vegan and plant-based recipes, discover amazing vegan food blogs, and see a picture of every recipe you find. It’s true that Pinterest has more pins in English than any other language, but other languages are represented too: I’ve searched for recipes in Russian (my first language) and found quite a few of them! Pinterest proved to be incredibly helpful to me when I first went vegan – in fact, so helpful that for the first month of our plant-based vegan journey I made a new recipe EVERY DAY, only repeating once or twice! I’m still making a few dishes from those days every now and then (see my Pinterest picks here). Verdict: Pinterest is a great way to discover new, delicious dishes when you’re just starting out. 2. Go to a nearby bookstore and look for vegan cookbooks. Look at the layout of each book and the common ingredients in a few recipes. Is the layout convenient enough (the way the recipes are grouped, clear marking of breakfast-lunch-dinner recipes, allergy information, etc.) ? Can the ingredients be found easily in your local grocery store? If you answer ‘no’ to both of these questions, move on to the next book you’ve found: you’re unlikely to be using a book that’s not very convenient to use or makes you run around your town in search of an exotic ingredient. Are those cookbooks too expensive in book stores? You can get them for cheaper on Amazon, or even find them at TJMaxx! Also, check out my favorite vegan cookbooks that have been in heavy rotation in my kitchen for years. 3. Stock your pantry right. Okay, you don’t have to undertake an epic, one-time grocery shopping spree to buy lots of healthy, plant-based foods and fill up every drawer in your kitchen – it’s no problem if you take your time with that. What exactly do you need to buy? See my list of 10 plant-based pantry staples that will help you make countless delicious and healthy vegan meals. 4. Watch a few lectures on YouTube for more info on how (and why) to go vegan and to avoid making mistakes. YouTube is another great resource for lots of information on optimizing your vegan diet, especially early on in your journey. You can find great lectures on YouTube by renowned plant-based scientists and doctors, such as John McDougall, T. Colin Campbell, Caldwell Esselstyn, Neal Barnard, Michael Greger, Milton Mills and others (just enter one of the names in the search field). Vegetarian Society of Hawaii has a number of lectures by all of these and many other researchers. Off YouTube: check out Michael Greger’s informative site, NutritionFacts.org, where he puts up a short video about various aspects of nutrition almost every day, and you can do a convenient search of his past videos using a very helpful system of tags. 5. In case you begin feeling lonely on your vegan journey, find vegan groups, both online and offline. Internet is now available almost anywhere – so is Facebook, MeetUp.com, etc. 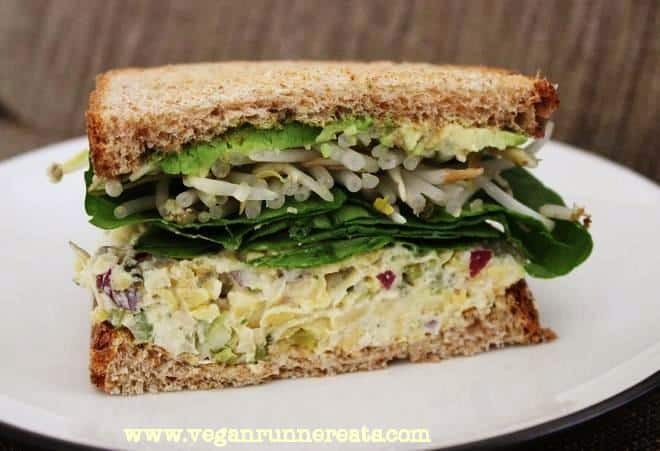 Facebook has lots of groups and pages dedicated to various aspects of vegan diet and lifestyle ( I update Vegan Runner Eats’ Facebook page with interesting info I find all over the web, as well as link recipes and posts from this blog). MeetUp.com and other sites may help you find a local group of like-minded people – who wouldn’t like a chance to make new friends? If you slip up, please don’t think that everything is ruined forever. It’s not. Just get up and keep going in the right direction. In fact, a lot of people go through a transition period on their path to full veganism, and it’s ok as long as you remember the exact reason that led you to becoming vegan/plant-based (your health, compassion for animals, reducing your carbon footprint, etc.). Let’s strive to be the best versions of ourselves this year – ditching animal-based foods and going vegan can be a good start! Tagged Caldwell Esselstyn Jr, dining out, inspiration, John McDougall, Michael Greger, motivation, plant based diet, T. Colin Campbell, vegan, vegan nutrition, vegetarian, whole food plant based diet. Bookmark the permalink. Thanks, this is an excellent starting point for beginners, with just the right attitude. It takes discipline for me, but with all the books, “You tube” videos, events, new products, your blog… it is getting easier. Good job, Nadege! Glad to hear that you find my blog useful along with other resources. Thankyou for writing this blog. I feel like it will help me a lot (: I decided to start my vegan path February 2014. And the past 6 months I’ve had many slip ups, eating cream cheese, cuz it’s available, tuna cuz it’s tasty, and pizza slices cuz it’s easier than ordering a whole vegan pizza I have to be forced to eat alone. I used to always prepare my meals before work (I work in a hairsalon in Walmart) when I don’t prepare meals before work the Walmart selection can be hard to choose food. But it’s definately possible, you’ve inspired me to stick to my goals. Veganism would be easier if I had more support. But I can find support from my instagram friends. And my boyfriend, even though I wish he would go vegan with me, I can’t expect him to make such a drastic life decision for me. Molly, everybody’s path to being vegan is different, so don’t punish yourself for not being a 100% perfect vegan! I was very tempted by cheese and non-vegan desserts in my first months of making a switch. It’s not the case anymore because a) I know how to get/make vegan alternatives to those, and b) I know of the animal suffering that goes on in animal agriculture. As for falling off the wagon when you don’t have vegan options, planning ahead is always the way to go! If you can’t make a full vegan dinner every night and have leftovers for the next day, take one night a week to make something big to last you a few days, like a casserole or a pot of chili. This way you’ll always have food to bring to work! Hello, I’m trying to go vegan and so far I’ve been messing up, mainly because of school and my parents don’t know that I’m trying to become vegan. One way I know I can keep myself from eating meat for an entire day is watching those horrifying videos on YouTube about how they treat animals in slaughter factories. But I don’t want to do that every day. Is there a way you can help me find a way to stick with being vegan? Thanks. Hi Celia! First of all, establish good comnunication with your parents – they’re not going to know you’re trying to go vegan unless you tell them. Second, research your vegan options for breakfast, lunch, dinner and snacks, and plan them out beforehand – when you fail to prepare, you prepare to fail. Do some of your own cooking if needed. And definitely ask yourself why exactly you want to go vegan. Good luck! We went vegan two months ago for health reasons only. Although, watching “What the Health” on Netflix made the decision easier. Luckily my husband is an amazing cook, so it hasn’t been difficult. I don’t even have cravings. Our problem is that we are going on a Mexican cruise in two weeks. PLZ HELP. We both love the way we feel and don’t want to screw it up after eating things our bodies won’t like. Any suggestions? Hi Michelle! I’ve heard great things about most cruise ship companies lately – a lot of them are willing to accommodate vegans with either vegan-friendly menu items or will cook you vegan dishes off the menu on request. Which cruise company are you going with? It might make sense to call them in advance and ask them about their menu, or if that doesn’t work out, make sure to tell your waiter about your vegan needs right away. Good luck!